Thanks for reminding me once again just exactly *why* it is I am working so hard to get myself out of this country. It’s not an easy thing, leaving for good the country of your birth, (especially not in middle age), and my resolve falters a bit at times. Then I see something like this and I remember why. Dees’ image is wonderful. It says more than a thousand words ever could. It’s great to be back on Desert Peace, a site where the truth is told. Both the U.S. and the Zionist State was founded on lies and deceit will die by deceit. 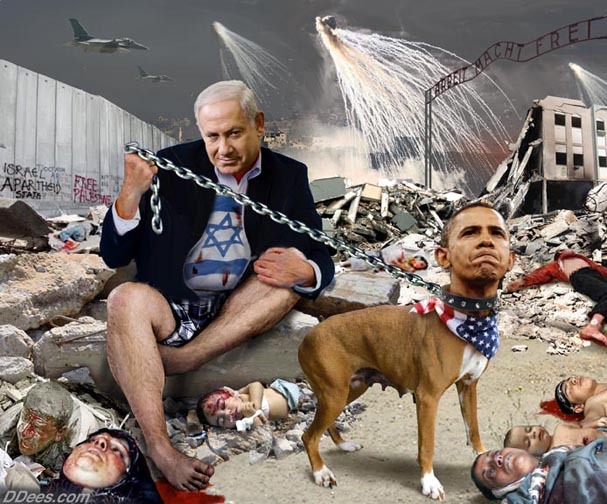 Both the U.S. and the Zionist State was founded on lies and deceit will die by deceit. May I add, betrayal?